Is your workload increasing? Do you not have time to workout anymore? Or is your personal life falling apart? Guess it's time to make some changes on how you've been managing the demands of your job and rest of your life. 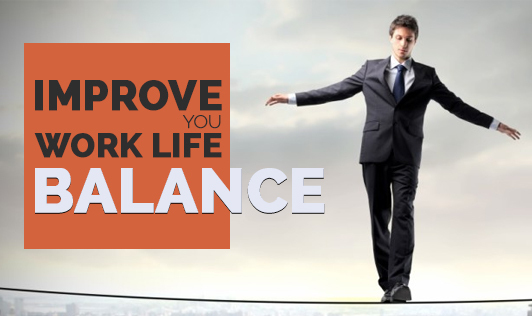 Work-life balance is something that most people desire but very few can successfully achieve. We're living in an age where employees are always connected to their work through their mobile devices, which can make it quite difficult to have a satisfying personal life when you feel like the office is taking up most of your day. Identify the role of work: It plays a major part in your life. It helps in keeping the lights on, makes the car loan payment, funds retirement, and may also permit yearly vacations. It's crucial for you to adopt the right mindset which allows you to enjoy the fruits of your labour. Be present and consistent. This means, you need to make an effort at being attentive at home, work, and even during your free time. The quality of your presence makes a positive impact on your surroundings. Being consistent will require you to identify what you do each and every day. Where you spend your time and energy has a connection to how successful you are in achieving work-life balance. Develop a calendar for family and work. Having a calendar will keep you accountable to both your family and work. When a calendar is implemented, you will be able plan work activities during the work day and establish leisure time to be with family. A calendar will help you create a true work-life balance. Learn to relax. Work can be demanding and can make you feel overwhelmed at times. It's important for you to relax, release the tension, and breathe. Identify your support group. You need to identify your core family and friends. They form your very own support group. This group should be constant and offer help unconditionally, which will enable you to remain on target. This will help to stay physically and mentally healthy by reminding you to schedule family time.